Hire event staff today from a leading events staffing agency. Businesses need different methods to cover the market for selling and raising brand awareness of their product or service. With the help of Hire Event Staff promotional agency, you can easily enhance the marketing level of your entire product or even your sales too! The basic need of the events staffing agency is that it needs good staffing solutions to execute numerous promotional marketing activities for their precious clients. Hire Event Staff offer many different types of promo models and Brand Ambassadors that are very attractive, friendly and always ready to work with public. Our event Staff trained to represent any kind of brand and service to drive maximum sales. 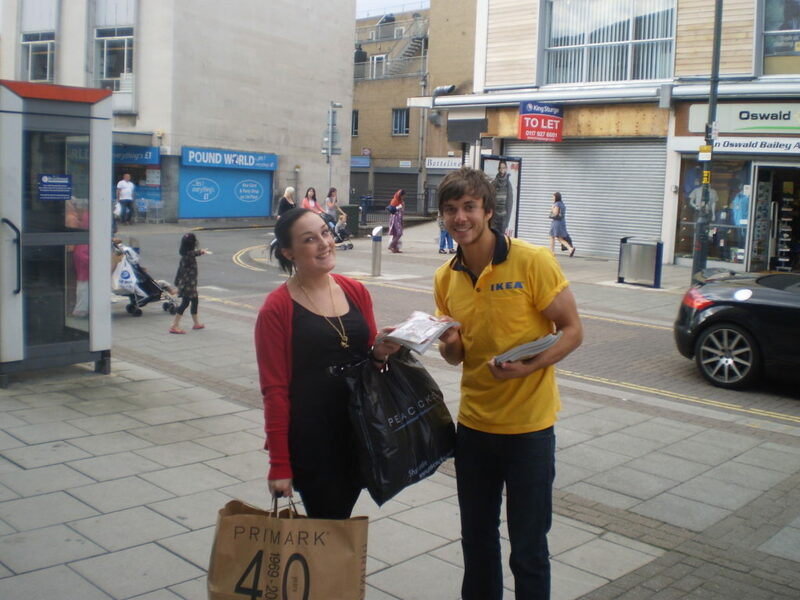 If you hire event staff and are worried about where you can distribute leaflets and product samples, no problem. We have all the top high footfall locations in all cities around the UK and know where to deliver your campaign successfully saving cost on those high space hire fees. You could be looking at hiring event staff for Roadshows, Shopping Centre brand activations, Mobile Van Activities, leafleting staff, product sampling and many more. We will provide you with a dedicated in house staffing team who are available throughout the week and weekend. We also employ a weekend staffing manager to manage all activities across the UK. With our internal database system we can update staffs working history, and provide the most suitable staff requested for your campaign.